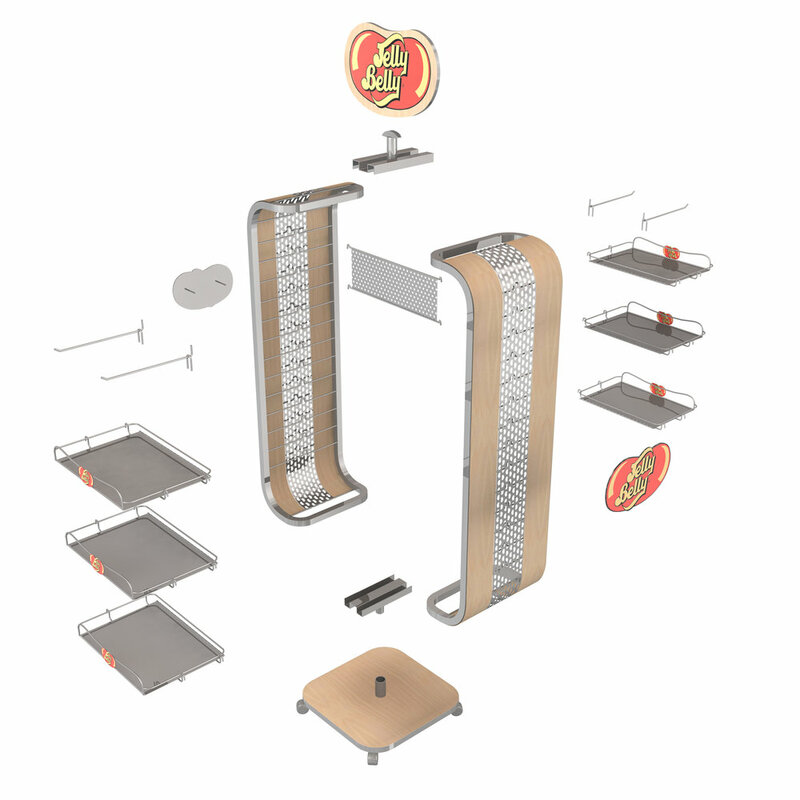 When Jelly Belly wanted a new, eye-catching permanent floor display that would potentially be expandable to accommodate stores with a varying amount of available floor space, we provided them with a number of ideas. Check out the images below to see some of the ideas we came up with. Our 3D models of Jelly Belly products will soon be available on Turbsquid.com. Just search "Jelly Belly" (We may post one of the display models, too).